Food is one of the most powerful connective tools we have. We build our bonds with friends and family over dinners, we go to restaurants on dates, we prepare food for others and with others. Even when we’re cooking and eating alone, food still connects us to the world. Whether it’s a particular meal that reminds us of home comforts, or simply sustenance to get us through the day, food is never meaningless. Like music or literature, food is a shared cultural product, even if it’s often overlooked as such. The liking (or loathing) of a certain dish is shaped by our early experiences and the world around us, and our feelings and experiences help us build our connections with others. Food evokes memories and associations that are just as powerful as other cultural products, if not more so due to the fact that they stimulate all the senses. The smell of gravy reminds me of typically British Sunday roasts with all my family gathered round a table, a few of us perched precariously on mismatching stools rescued from the garage because we never had enough seats. 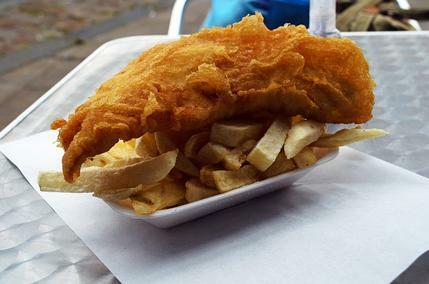 Whenever I have really good fish & chips, it takes me back to going to rugby matches with my father and brother as a small child and trying to sneak our illicit fast food past the security to avoid the high prices inside the stadium (we’d usually get caught, but the stewards could always be bought off with the offer of a chip or two!). Food doesn’t just bring back memories, it creates them too. I still remember the first time I cooked for my now-partner, stumbling my way nervously through my “signature dish” in my student kitchen, with my housemates drunkenly wandering into the room from time to time to offer their very inaccurate advice. I remember proudly presenting a homemade meal to my relatives the first time they visited me in my new apartment after I’d moved out, reassuring my mother that yes, there was plenty of wine in the sauce! Cooking with others can remove some of the difficulty many people feel in the kitchen. By making cooking a social event in itself, we stop framing it as a job and start seeing it as an experience we can share. Even if you’re not a confident cook, having someone there to share the challenge with can make things so much easier. And even if it all goes wrong, you’ve got someone else to share the blame with. Not only that, but cooking with others has been shown to be better for your health, your environment and your wallet. Cooking with friends is cheaper and produces less waste, but perhaps even more importantly it involves shared experiences, shared knowledge and shared memories. By finding a friend to cook and eat with, you gain access to their experiences with food too — perhaps you’ll get to try the signature dish of their home country, or perhaps use it as an opportunity to learn new cooking techniques. Or perhaps it’s simply an excuse to get together, cause a disaster and end up ordering a takeaway. Just remember to always share your chips! If you want to find friends near you to cook with, try Panion, out now for iOS and coming soon on Android.